She remembered the long journey to this point. When she was 9 months pregnant, Hurricane Gustav laid waste to her hometown in Houma, Louisiana. After the storm, she went into labor on her drive home. She drove 3 hours in labor to get to the hospital. At the time, it was the most physically and emotionally draining experience of her life. Now, Julie was facing the very real possibility that her son would not make it. Bradan was very fragile when he was born. He had difficulty feeding and usually threw up anything he got down. 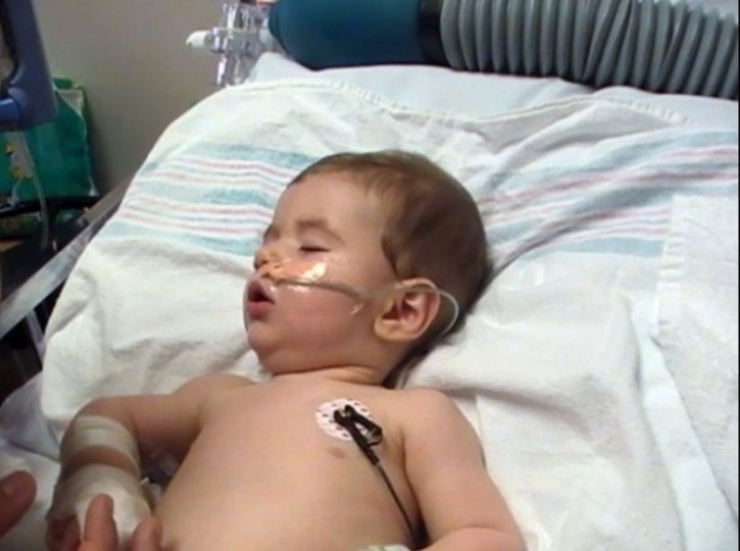 When he was just 7 weeks old, he inexplicably stopped breathing. Julie remembered those horrific moments where she fought to revive him. Once he was breathing again, she rushed him to the hospital where Bradan underwent every test imaginable. MRIs, CT scans, blood tests, muscle and nerve biopsies; doctors had no explanation. "Even if he survives the surgery, he will be on a respirator for the rest of his life." Julie remembered the sleepless nights when Bradan's seizures started. 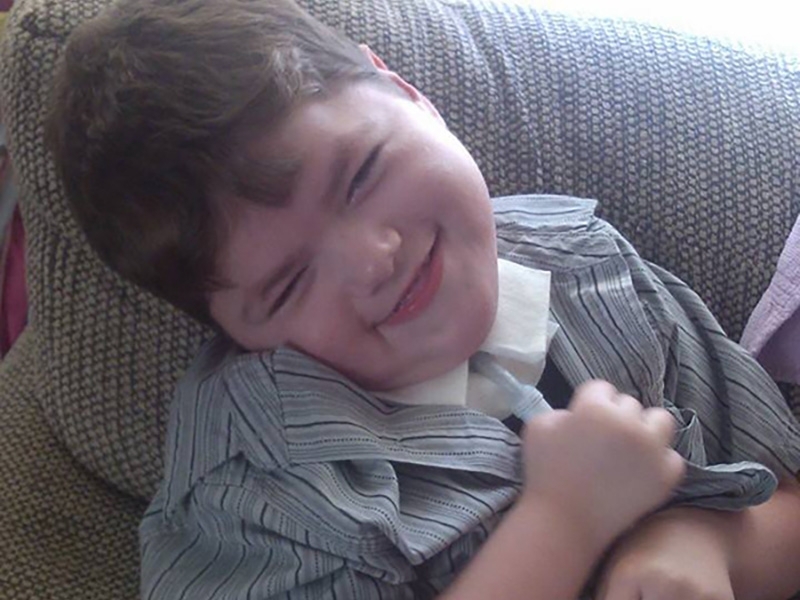 It took months of adjusting his medications to get his seizures under control. Things took a turn for the worse when his seizures became uncontrollable. He began having 15 to 20 seizures a day. That is what brought him to this point. While at the hospital, Bradan had developed a respiratory infection that required a surgery that doctors did not think he could survive. But Bradan had made it this far. Left with no other options, Julie agreed to the surgery. Bradan survived. At midnight, he even successfully came off the respirator. The odds were astronomically stacked against him and he beat them. Everything had gone perfectly. 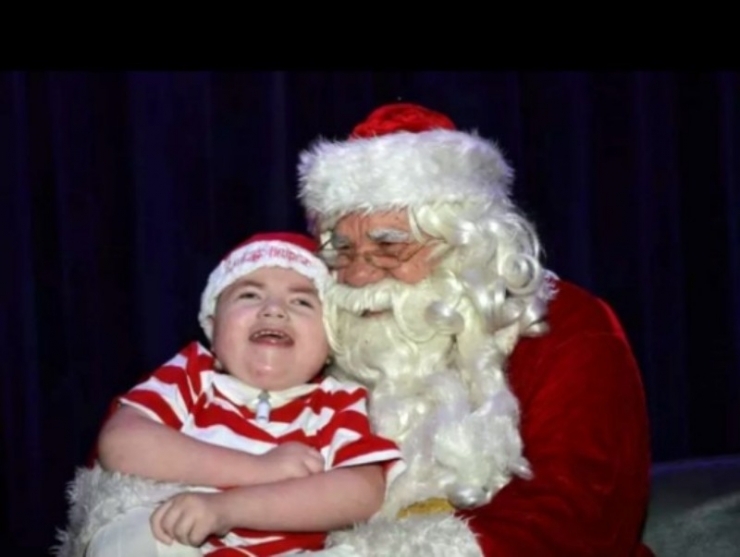 Just when doctors were about to clear Bradan to go home, he stopped breathing again. He was rushed to the ICU and put on a ventilator. He stayed there for 19 days with no improvement. Just when doctors were preparing Julie for the fact that there wasn't much hope, they were shocked to find Bradan trying to roll over. He had once again pulled through after all. At age 2, Julie finally got answers. 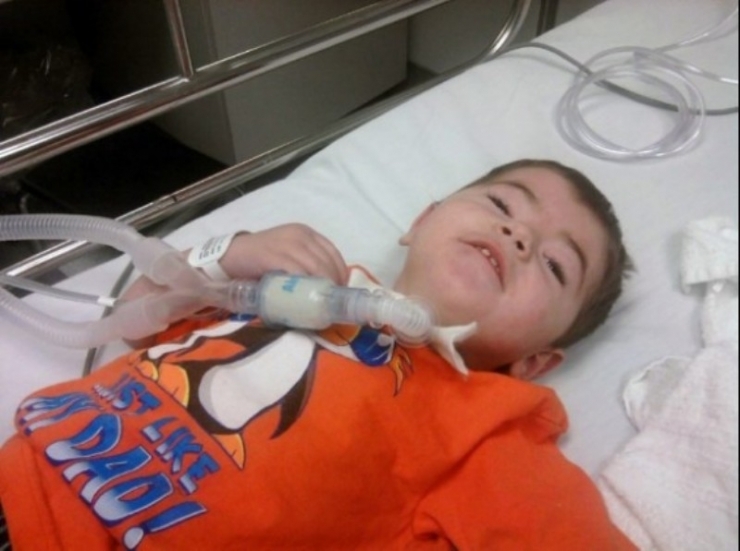 Bradan was diagnosed with Tetrahydrobiopterin Deficiency (THBD). THBD is a rare genetic, neurological disorder present at birth. With THBD, there is an abnormally high blood level of the amino acid phenylalanine, along with low levels of certain neurotransmitters. Signs and symptoms of this condition can include intellectual disability, progressive problems with development, movement disorders, difficulty swallowing, seizures, behavioral problems, and an inability to control body temperature. 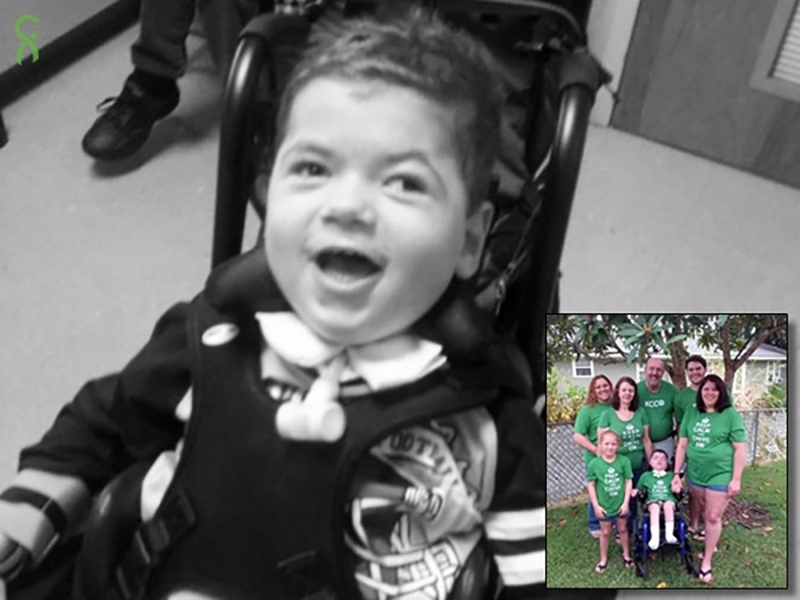 Bradan's metabolic disorder decreases his tolerance to minor illnesses. Any change in his condition can be fatal if not closely monitored. Bradan is 6 years old now. He's nonverbal and immobile. His hips are both dislocated and he was born with only one kidney. But he is a happy kid with an infectious giggle. He'll make you laugh till you cry. He enjoys going for a stroll with his mom on a sunny day. He likes swinging and swimming. 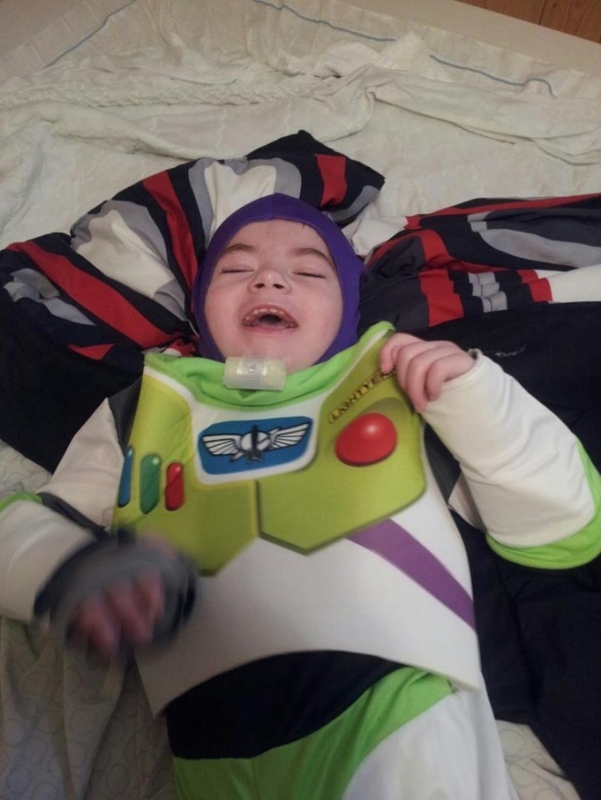 He loves listening to Disney songs and dressing up as his favorite Disney characters. His favorite place is Disney World, which he recently got to visit for the first time. His favorite part was the roller coasters. Julie is a single mother. 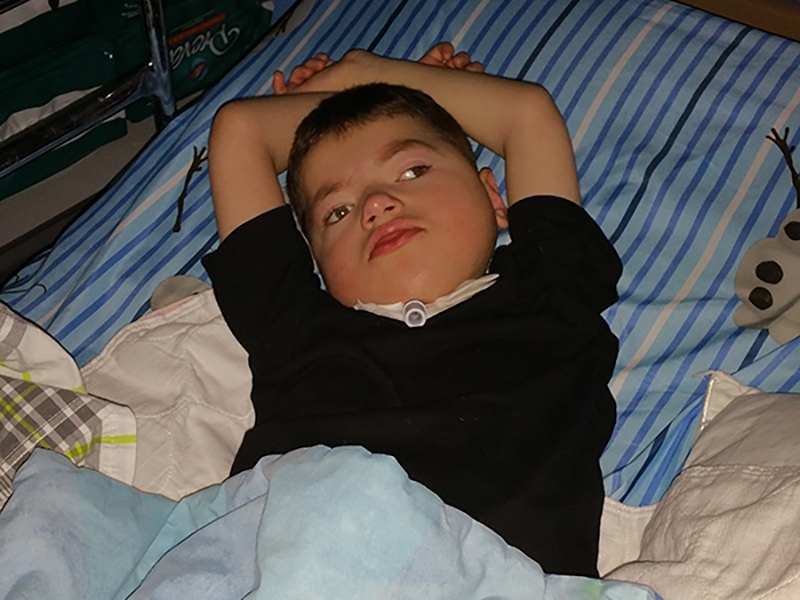 Bradan has numerous doctor appointments and therapy sessions, but transporting him is extremely challenging. The medical bills would be a struggle for any family, but it is especially difficult for Julie since she had to quit working to take care of her son. Three months ago, Julie had never heard of Chive Charities. She was referred to us by the same van company that we worked with forChloe. 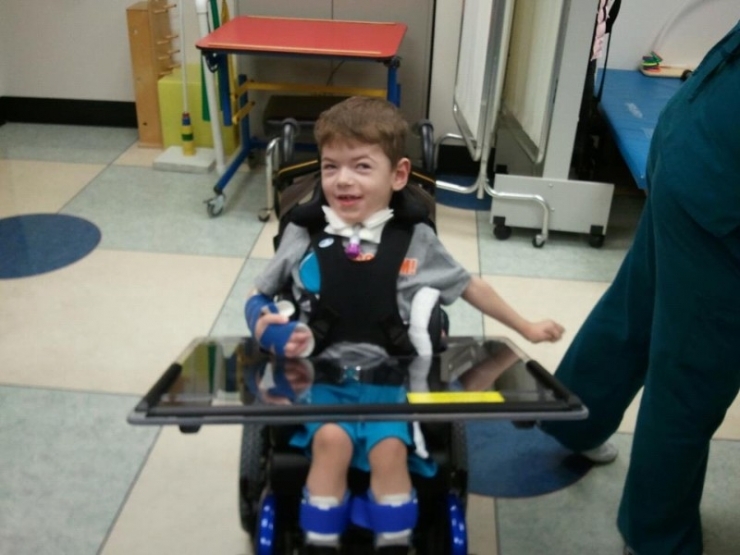 We are proud to announce that we are giving Bradan a $57,000 grant from the Chive Fund! The grant will go towards a brand new ADA van with a ramp! 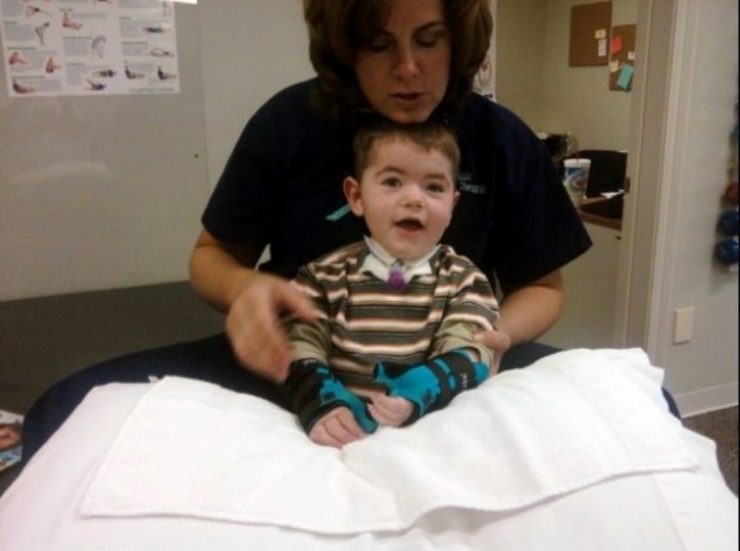 Julie will be able to safely get Bradan to all of his appointments! Chuck. 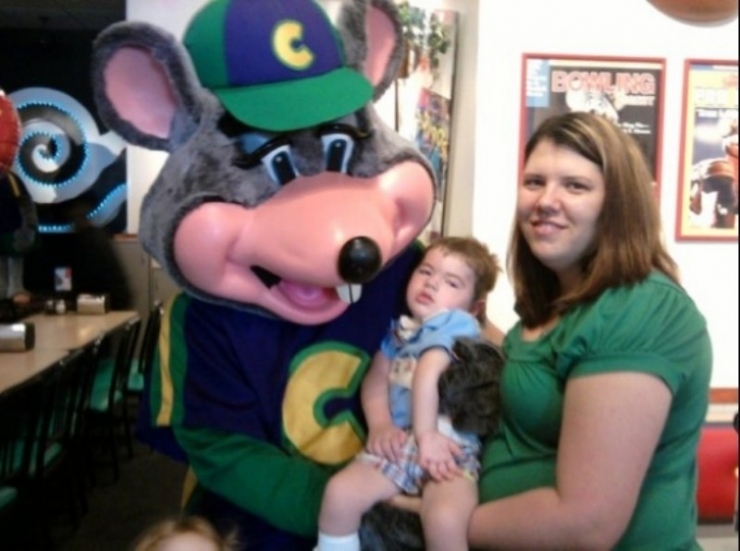 E. Cheese is where Bradan has spent his birthday every year! 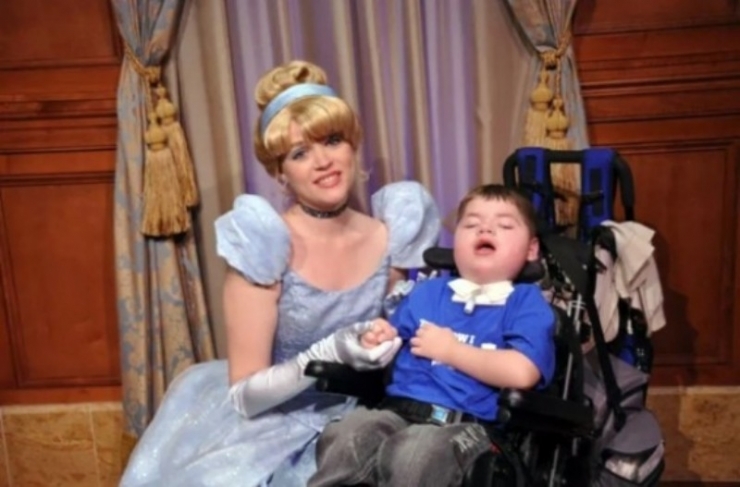 Bradan got to meet all of his favorite friends at Disney World! Bradan loves dressing up in costumes! 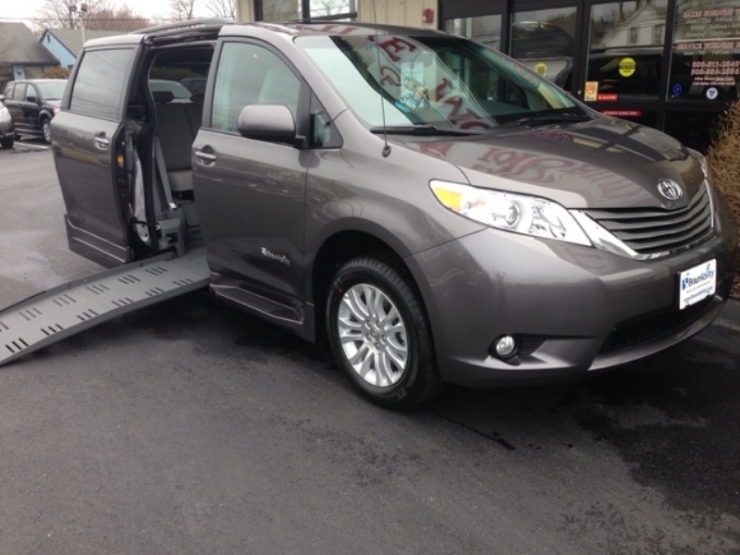 Here's Bradan's brand-new wheelchair-accessible van! When Julie first heard about Chive Charities, she was mainly excited for the opportunity to spread awareness about THBD. "We have no awareness. We have no walks. We're on our own," she explains. You never know when a chance encounter with an acquaintance can lead to a helping hand that changes a life forever. 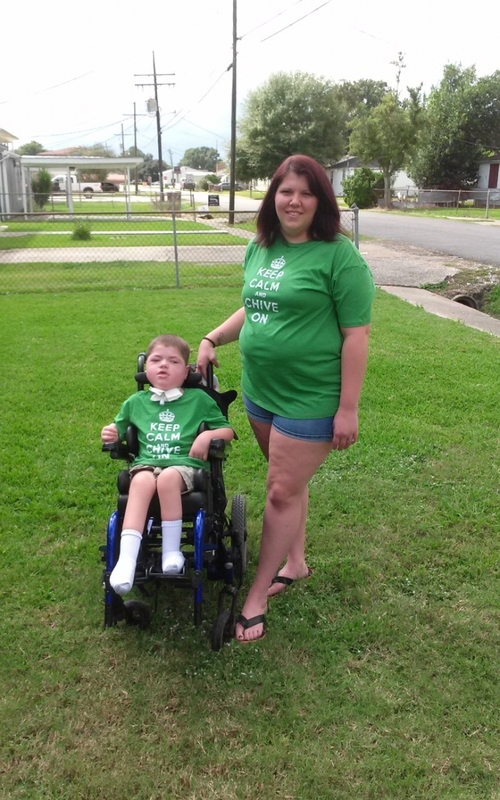 Thanks to your continued donations to the Chive Fund and this ever-growing community of misfits, Julie now has a safe way to transport Bradan to the essential doctor appointments and therapy sessions that he needs to stay healthy. But perhaps more importantly, Julie is now a torchbearer spreading awareness about THBD.